Until now there is only one Slack client for Windows Phone, and it’s French! Sometimes things develop faster than anticipated. When I reached out to Florian Rousselet for an interview about his Slack client for Windows Phone, I had the information that Slack would need more time to come up with something of their own. Last Wednesday they tweeted me that they had “uncovered some performance issues in their previous approach“. This was more than nine months after the first tweet mentioned that they will be a Slack app for Windows Phone. Tobias Schwarz (TS): You’re “Channel Messenger“ is the only Slack client for Windows Phone. Why did you choose to build an app for that? Florian Rousselet (FR): We started to use Slack at my company, and I was disappointed to find an iOS and Android App but not on Windows Phone. So I develop it on my free time as a challenge. I’m a software engineer and part of my job are Windows Phone applications, last one we released was “Eurosport.com“. TS: What do you think why there are no other Slack apps for Windows Phone? FR: Slack is a large message application, and it has a lots of feature. Trying to make everything is very time consuming. And I think I got here the first so maybe no one wanted to make another application. TS: How cooperative is Slack to make Third-party applications possible? Did you notice any problems? FR: I got one problem with Slack at start. My first versions were named “Slack WP“ and then “SL4CK“, and for them it was too close to their brand that they registered. So I changed it to “Channel Messenger“, which reminds the channels’ idea of Slack. They we’re a little pushy about that brand problem, and very clear that I can use their API but not the name or their logo. TS: Slack is working on a native app for months now, without success. Will you continuing with your client once there is an official one, too? FR: If Slack finally release an app for Windows Phone, I think I will continue to update mine for bug fixes. But I will never be as good as an entire team dedicated to one application. TS: Not everything is working well with your “Channel Messenger“. What will you fix or enable next? FR: I’m aware of certain bugs, and I try to fix them but I’m entirely dependent of Slack Services and sometimes I can’t test specific things because I don’t have sufficient access. Everyone asks me to make notifications like the real applications, but I can’t because it’s on Slack side. I can say that the next update will fix bugs like the “timestamp_error“ you got when you “Mark everything as read“ and others. TS: Most users love your app, even there is room for room for improvement. Is there are a way to support your work? FR: Thanks everyone for following me and my work and as a support, people can make reviews about the app, what they like or dislike. I try to read every review and improve the application but its very time consuming. TS: You build several other apps for Windows Phone. Why did you choose this OS? FR: I totally fall in love for Windows Phone when Windows Phone 7 came out in 2010, I really loved the design, totally different from iOS and Android. 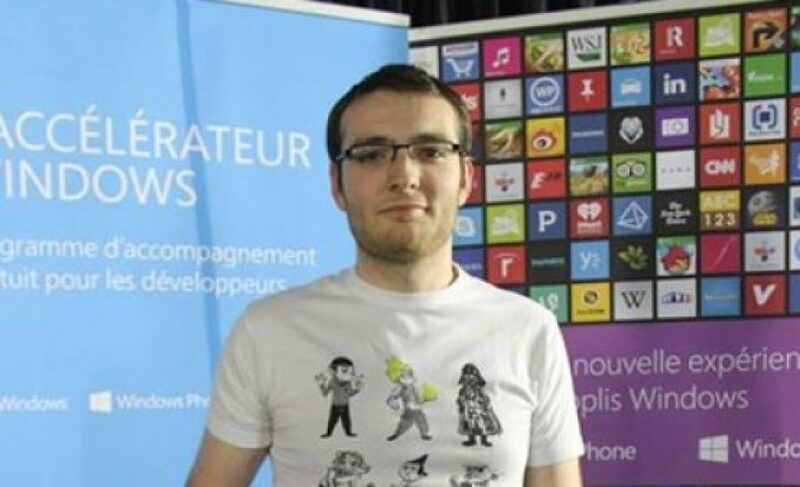 TS: What is it like to be a Windows Phone app developer in France? Is Windows Phone relevant in France? FR: Microsoft is very implicated in France, here we have a huge community of developers and Microsoft hosts a large number of events, nearly every month, plus a big event each year, the Microsoft Techdays in Paris, 3 days about Microsoft technologies. Last numbers in France show that Windows Phone has a 14 per cent market share, and it may be the best across Europe. TS: Last but not least, what is your favorite Windows Phone app? FR: I don’t have a favorite app, but I use everyday Facebook and Twitter. This article was first published on Isarmatrose.com. Not true! There is another: Just Chat. No notifications but it works great for basic communication with the team while away from the office. I’ll have to give Channel Messenger a try too.